What is CSGO roulette and how does it work? CSGO roulette is a form of gambling where skins in CS:GO are being traded for virtual coins and used as a currency instead of real money. The skins are usually obtained as a reward from playing CS:GO and then deposited as coins to a CSGO roulette website. This is done by exploiting the trade system provided in steam. CS:GO roulette is somewhat a simplified version of the real roulette you can play at the ordinary casino site. Compared to the 37 numbers you find at a regular roulette table, CS:GO roulette only has 15 of them. In addition to this, it’s only possible to place a bet on red, black or green color, whereas the standard roulette table offers several ways to place a bet. In CS:GO roulette the numbers 1-7 are red, 8-14 black and the 0 green. Any successful bet on red or black will double your stake, whereas a bet on green will give you 14 times the amount you bet if won. Although the house has an edge in any casino game that you play, it’s important to know that this is higher in CS:GO roulette than what it is in ordinary roulette. This is simply due to the fact that there are fewer numbers available. Even though it’s possible to win by betting on the green zero, this was only introduced in roulette to give the house an edge. Without a green pocket, you would have a 50% chance of winning while betting on black and a 50% chance of winning while betting on red. As both of these alternatives pay out double your stake, this would give you a theoretical RTP (return to player) of 100%. In other words, the same amount that you’re betting you’re expected to win in the long run. When the green pocket is added, this RTP is lowered as you no longer have a 50% chance of hitting red or black. Your chance is lower than this and the fewer numbers there are on the table, the more this chance decreases. This is simply because the green pocket will make up a bigger portion of the total number of pockets. If you would place a bet on red on a regular roulette table, your chances of winning are 18 out of 37. There are 37 numbers in total and 18 of them are red. If you win, you receive double your stake back. The RTP is calculated by multiplying your percentual chance of winning with the amount you can win compared to how much you bet. The amount you can win compared to how much you bet is 2 as you’ll always win double your stake on a successful spin. Therefore the RTP is 2 * 48,66% = 97,3%. This means that for every 100 coins you bet, you would be expected to win 97,3. The other 2,7 coins would be a profit to the house. Therefore the house edge is 2,7% when betting on red (or black) in ordinary roulette. Your chances of winning when betting on red are 7 out 15 as there are 15 numbers in total and 7 of them are red. Just like ordinary roulette, you will win double your stake back on a successful win. If we multiply this by the amount we can win compared to our stake (which is two) we get 46,66% * 2 = 93.3%. So for every 100 coins that you bet in CS:GO roulette, you are expected to win 93.3 and the rest will be a profit to the house. This means that the house edge is as much as 6,7%, which is more than double the house edge in ordinary roulette. It doesn’t matter if you would place your bet on the green zero as the house edge would be the same. We can do the math for this as well. 1 out of 15 numbers would give you a win, which means that your percentual chance of winning would be 1/15 = 0,06666 = 6,666%. When betting on the green zero you’ll receive 14 times the amount you bet and we therefore have to multiply the above percentage with 14: 14 * 6,666 = 93,3%. What can I expect from playing CSGO roulette? In conclusion to the above, CS:GO roulette is extremely lucrative for the website who is offering it. By providing a simplified version of real roulette, they are giving themselves a huge advantage and taking a bigger portion of your bets than any ordinary casino does. 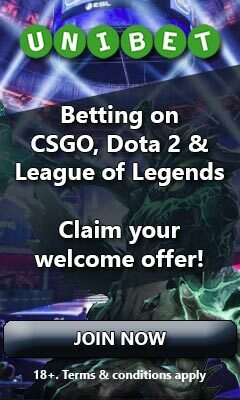 If you’re of legal age, it’s therefore highly recommended using a regulated skin betting site that offers the deposit method skinpay. With this you’re able to transfer your skins to real money and can then use this to play ordinary roulette where you have better chances of winning. Is it safe to play CSGO roulette? There is definitely a big variation of better and worse sites that you can play CS:GO roulette on. Some sites are professional and work hard to offer their users a good experience. Unfortunately there are also a lot of sites who are less professional and just want to make a quick buck. The sad truth is that no matter what CS:GO roulette site you choose, you can’t really trust any of them. The market is an unregulated one and there is therefore always a risk with using the website. Unlike regulated operators, there are no 3rd party control groups that can guarantee you that the game is fair and that the website is following a protocol to maintain a high standard of security. This means that you as a player have no protection in case something would happen. Another issue with these CS:GO roulette sites is that nothing is done to prevent underage people from gambling. As much as we love gambling ourselves, young people are more prone to develop an addiction. I have skins and want to gamble without risk, what do I do? You choose a regulated betting site! There are fortunately a couple of operators that possess a gambling license and offer gambling with skins. This is done by converting your skins into real money by using a deposit method called skinpay. To help you out, we have reviewed and listed all of these regulated sites.